Kioea. Last seen in 1859. 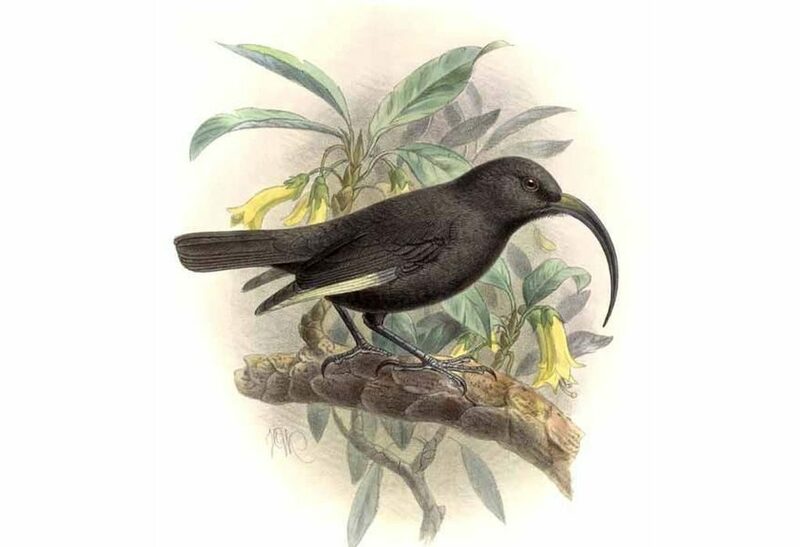 'Ula-'ai-hawane. Last seen in 1892. 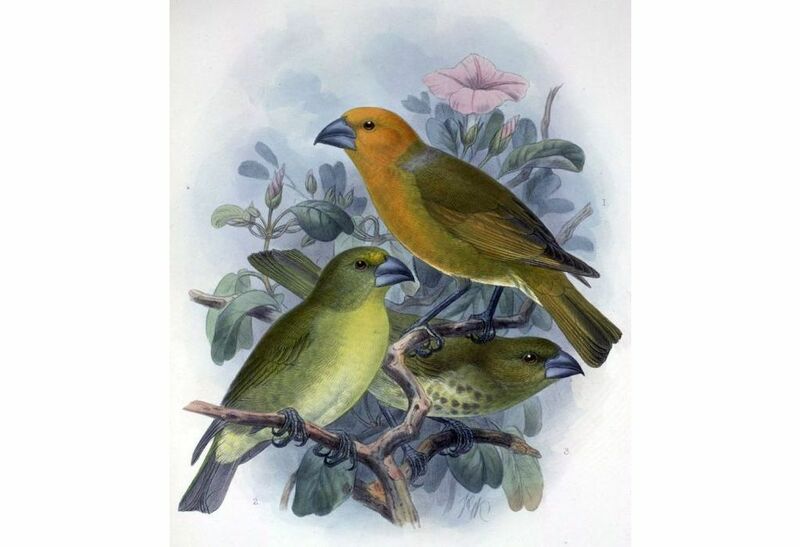 Greater koa finch. Koa forest cut down. Last seen in 1896. Hawaii mamo. Last seen in 1898. Greater 'amakihi. Land cleared. Last seen in 1901. Black mamo. Last seen in 1907. Laysan honeycreeper. Extinction by rabbit in 1923. Hawai'i 'o'o. Last seen in 1934. 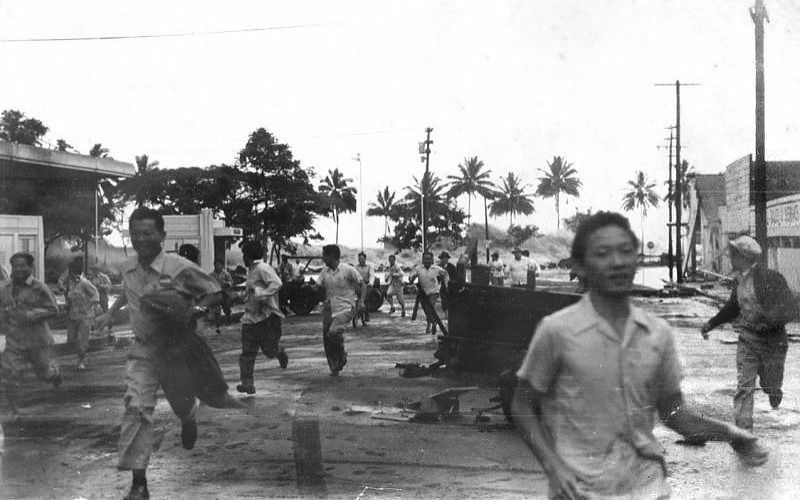 O'ahu akialo'a. Last seen in 1940. 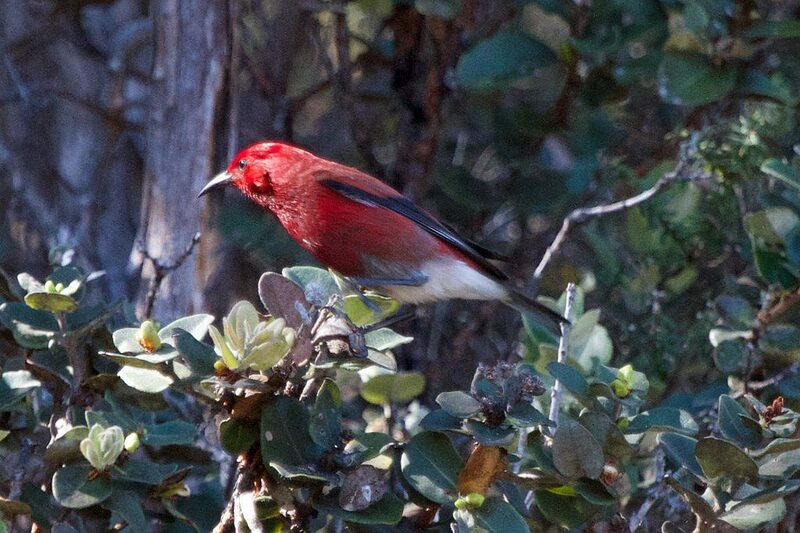 Maui 'akepa. Last seen in 1988. Po'ouli (black-faced honeycreeper). Last seen 26 Nov 2004. 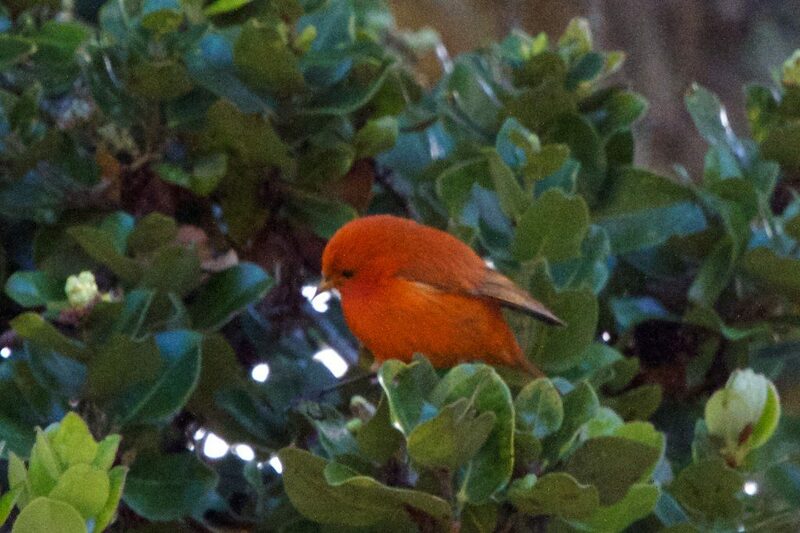 By now in my series on Hawaii you’ve probably noticed that the rarest birds on the islands are threatened with extinction. Sadly this situation is normal. 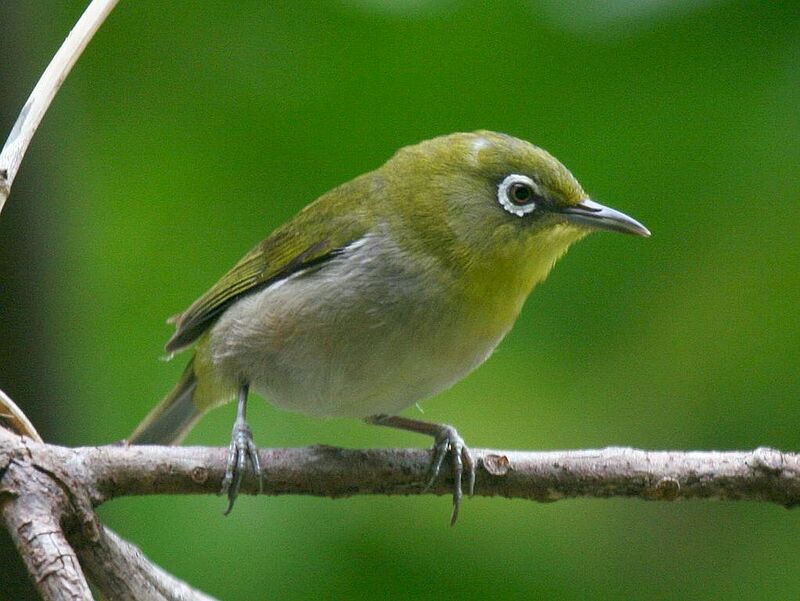 So many Hawaiian species have gone extinct and so many are on the edge today that Hawaii is known as the Extinction Capital of the World. 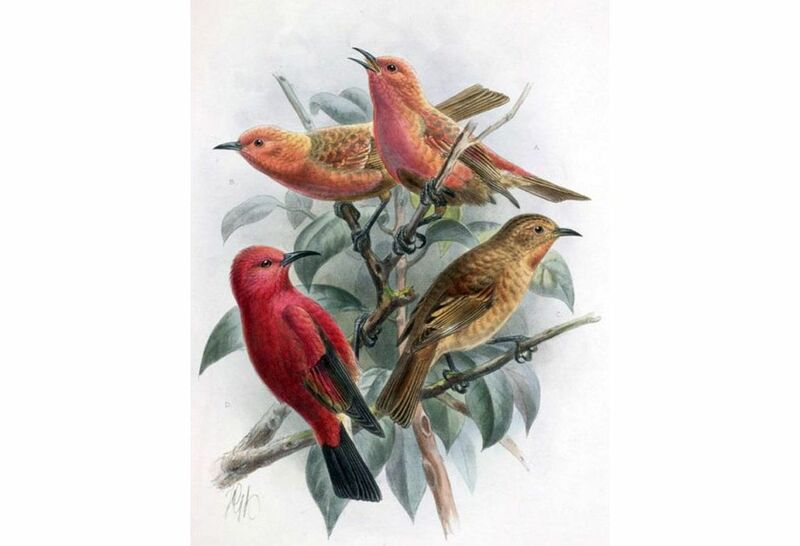 The group of forest birds called Hawaiian honeycreepers are a case in point. 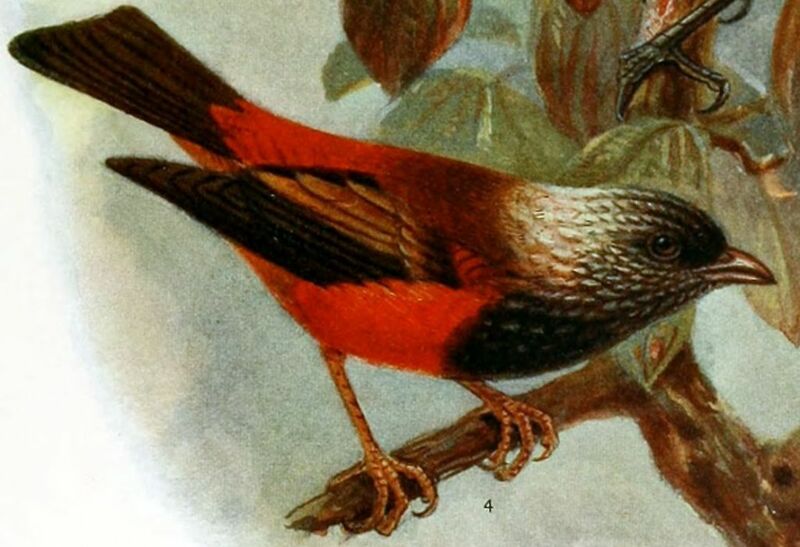 Five million years ago a flock of finches similar to redpolls (Carpodacus erythrinus) arrived from Asia, flying non-stop for more than 4,000 miles. 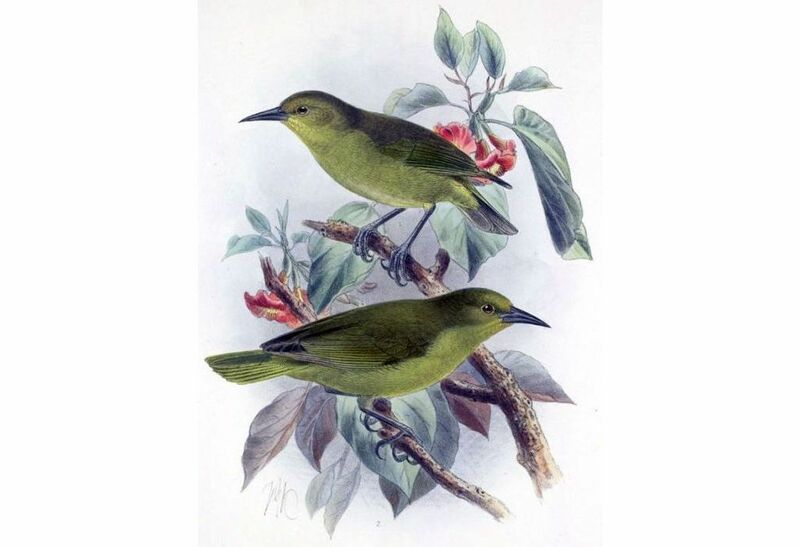 When they arrived, Oahu and the Big Island didn’t exist, but over millions of years they spread out and evolved into 59 species of Hawaiian honeycreepers with a wide variety of beaks for exploiting Hawaii’s food sources. They diversified more than Darwin’s finches. 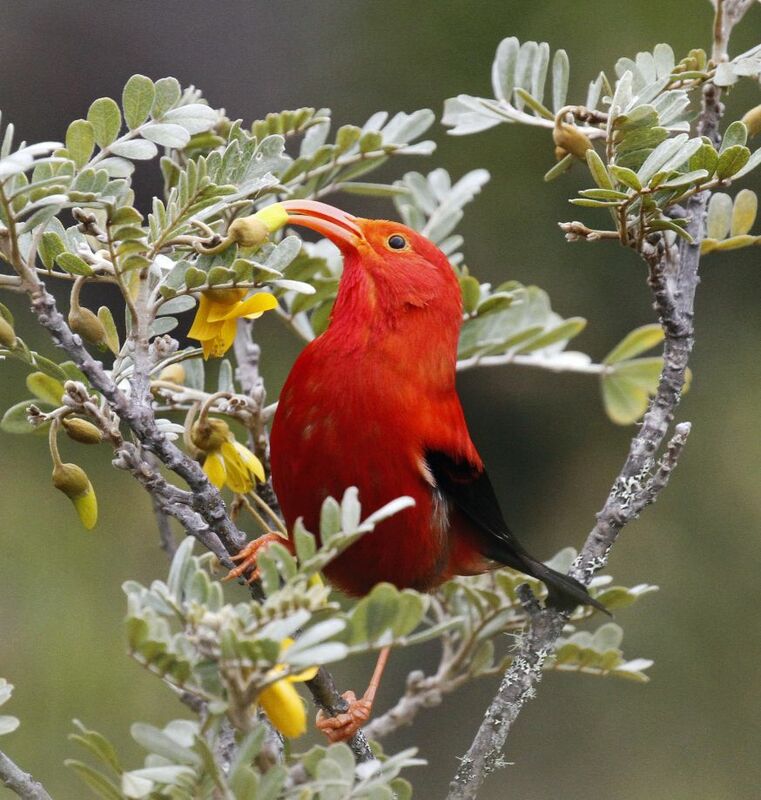 Each bird was perfectly evolved to survive Hawaii’s dangers but had no defense against off-island threats. Their exposure came with the arrival of humans. We came in two waves. Polynesians arrived in Hawaii around 400AD and were here alone for 1,400 years. 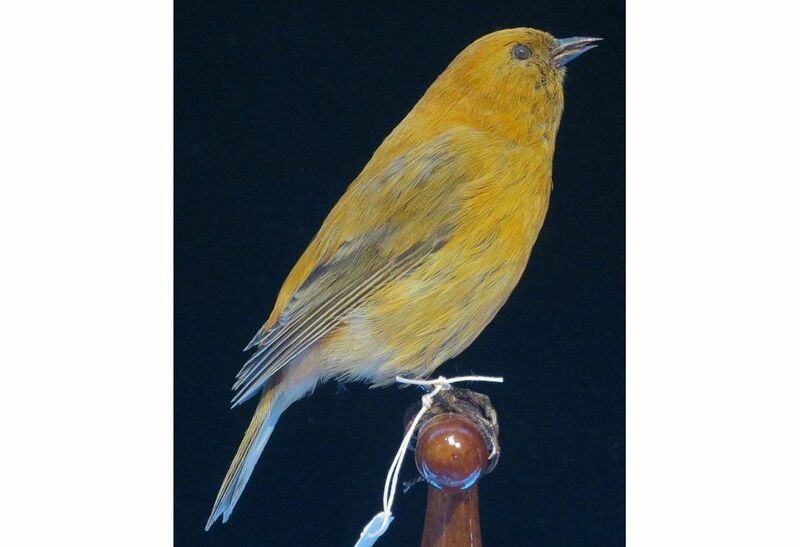 During that period 30% of the Hawaiian honeycreepers went extinct. In 1778 Captain James Cook was the first European to see Hawaii, prompting immigration from the rest of the world. Since then, in just 240 years, another 39% of the honeycreepers have gone extinct. 18 species remain but six are so critically endangered they may be gone soon. The slideshow above shows a fraction of what we’ve lost. 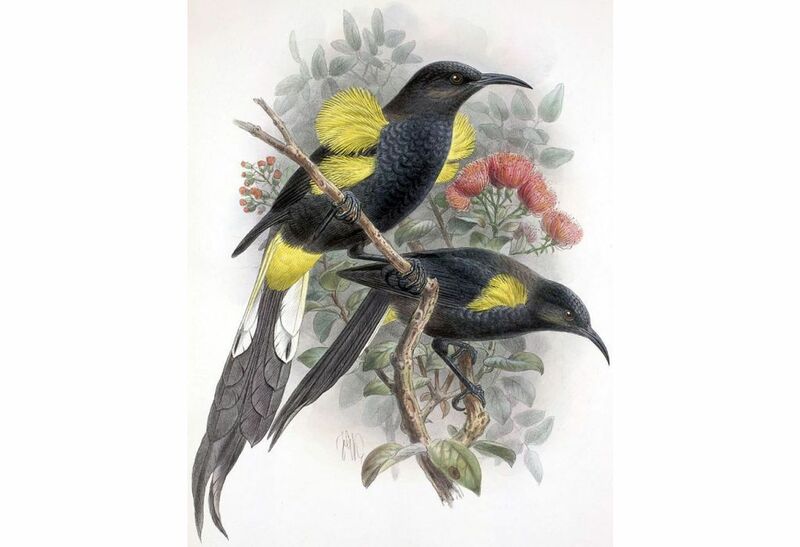 The last bird, the black-faced honeycreeper or poo’uli (Melamprosops phaeosoma), is still listed as critically endangered with 1 to 49 individuals left on Earth. However, none have been seen since 26 November 2004. It’s probably gone. Habitat loss: Humans cleared the forest for settlements. Some species had such a small range or specialized food that when their patch was gone, they were too. 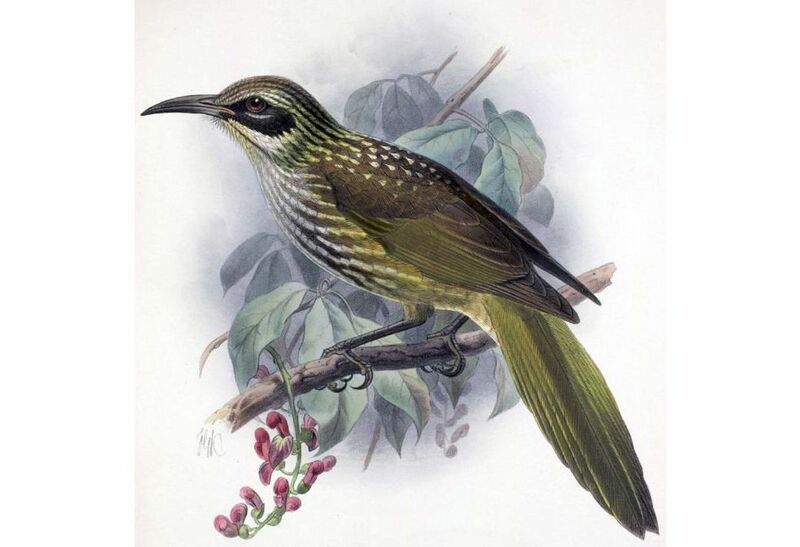 Introduced species, especially rats, cats and mongoose: The birds don’t know to move their nests out of reach. 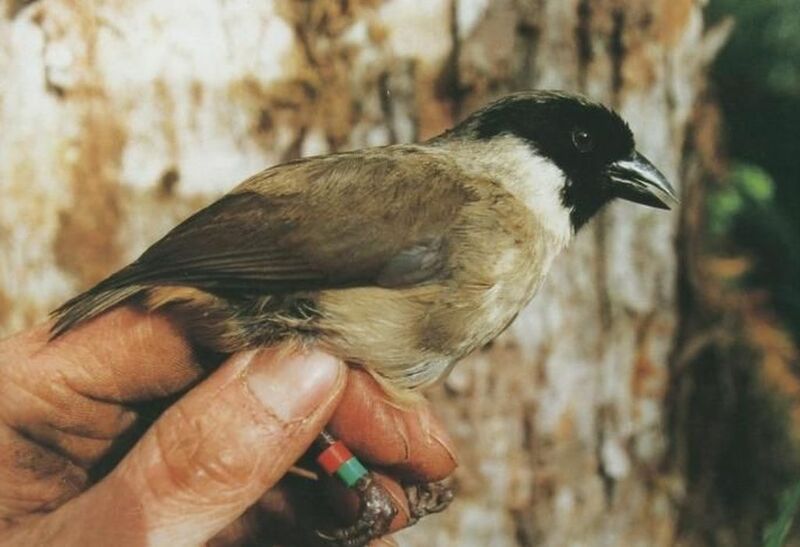 Avian malaria and avian pox: Honeycreepers have no immunity. Mosquitoes: Avian diseases, carried by mosquitoes, arrived with introduced birds. 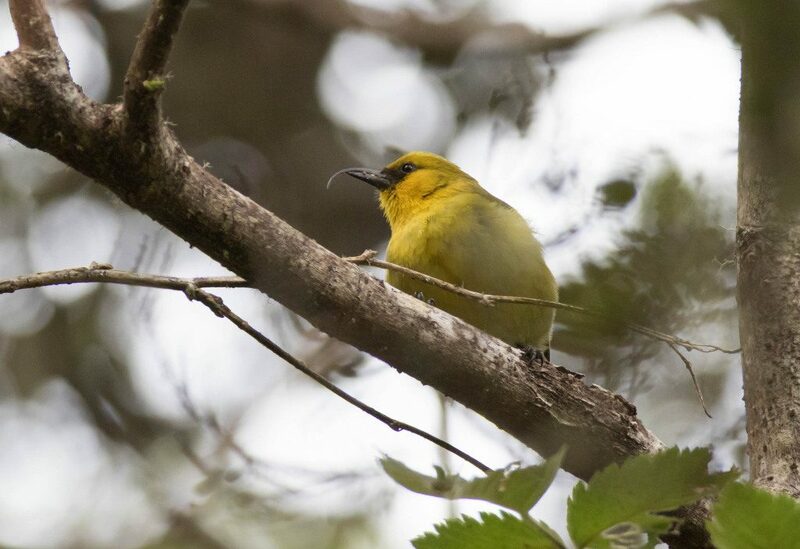 Honeycreepers don’t know to brush mosquitoes away. They catch malaria easily and it kills them. Climate change: There’s safety from mosquitoes at high elevation but climate change is heating the mountains. The mosquitoes are moving uphill. Avian diseases caught from mosquitoes are the big problem. Fortunately there’s a silver lining. 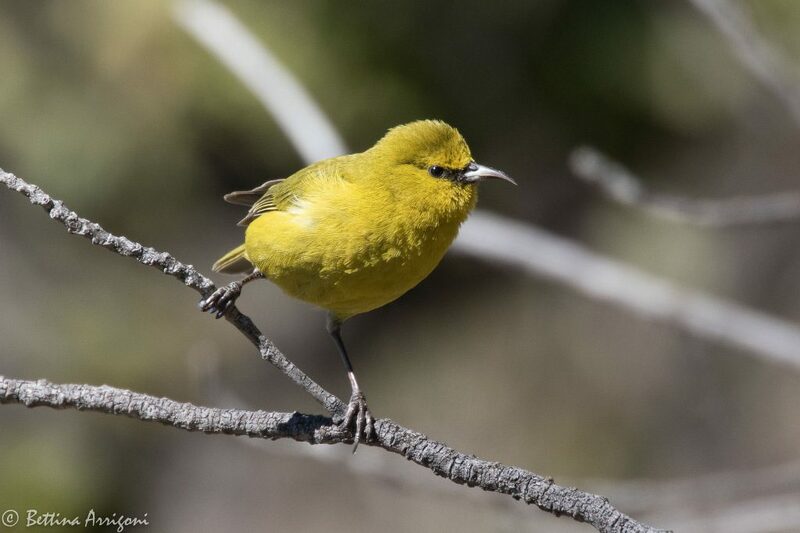 One of the honeycreepers, the Hawai’ian amakihi, can now live with avian malaria and is expanding its range within mosquito territory. This 27-minute video, made in 2005 by Susanne Clara Bard, tells the story of the Hawai’ian amakihi’s survival. 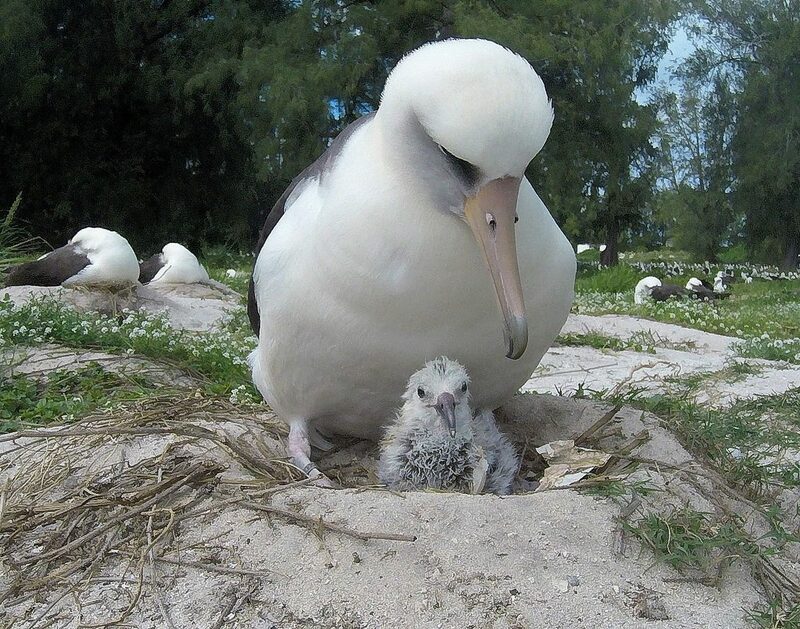 Though this video is a lot longer than I normally post, it’s worth even a short look to learn why Hawaiian birds face so many challenges. 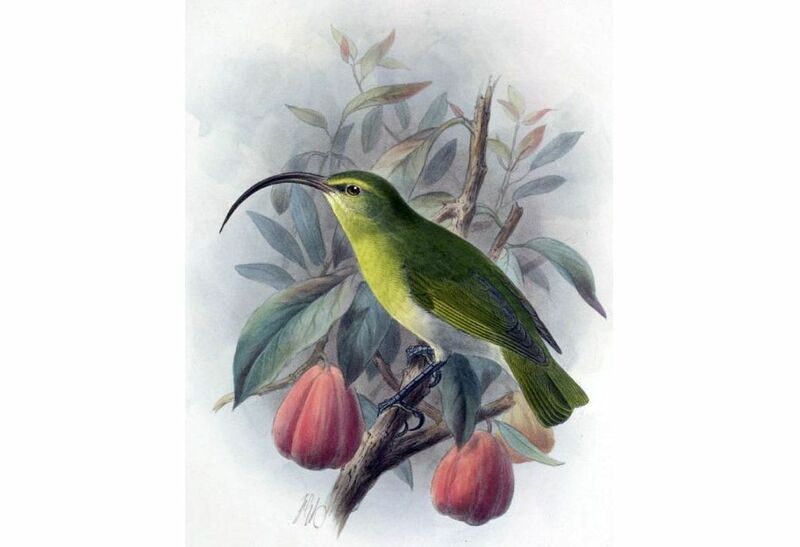 The Hawai’ian amakihi evolved to survive malaria in only 200 years. 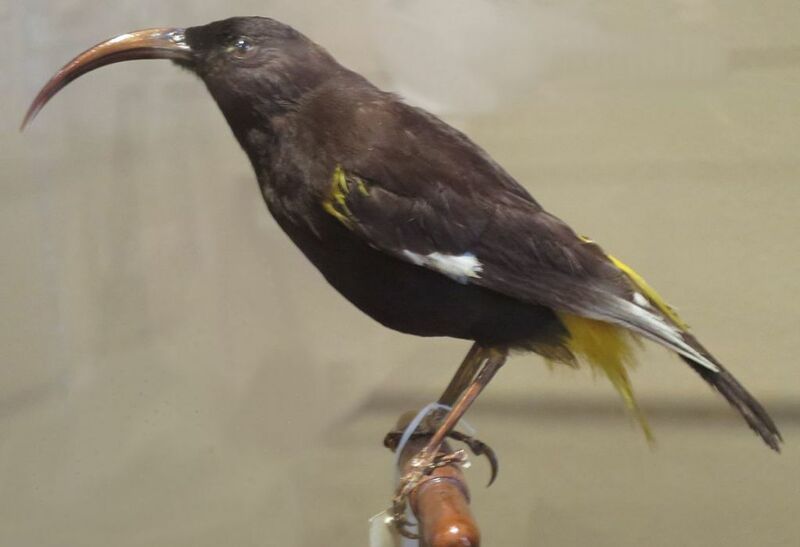 We have so many crows in Pittsburgh in the winter that it’s hard to imagine any crow becoming extinct but this species, the Hawaiian crow or ‘alala (Corvus hawaiiensis), declined rapidly in the 20th century from disease, habitat loss, and predation. They are now extinct in the wild. Because the birds were obviously in trouble, a captive breeding program began in the 1970s but it wasn’t enough. By 2002 Earth’s only ‘alalas lived in captivity so scientists prepared carefully for their first release. Five Hawaiian crows were released in the forest in 2016 but the attempt was unsuccessful. 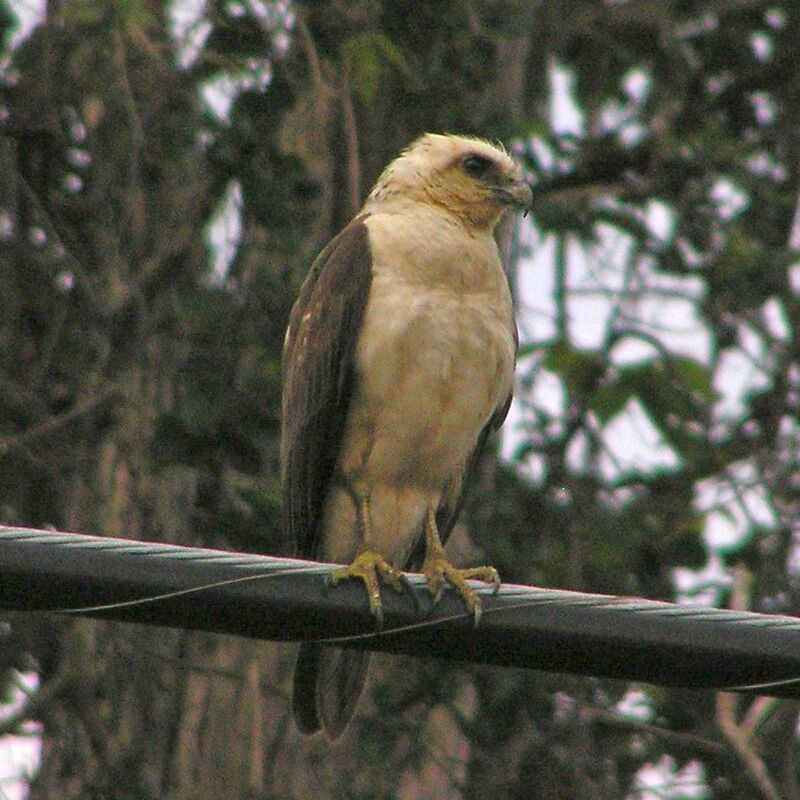 Three of them died, the majority killed by the i’o, the native Hawaiian hawk. The remaining two were brought back into captivity. The ‘Alala Project revamped their strategy for the next release. The crows had lived in safety for generations and apparently didn’t realize the hawk was so dangerous, or they didn’t warn each other. Since crows are safer when they stick together the team assessed each crow for its compatibility and hierarchy and chose the group accordingly. 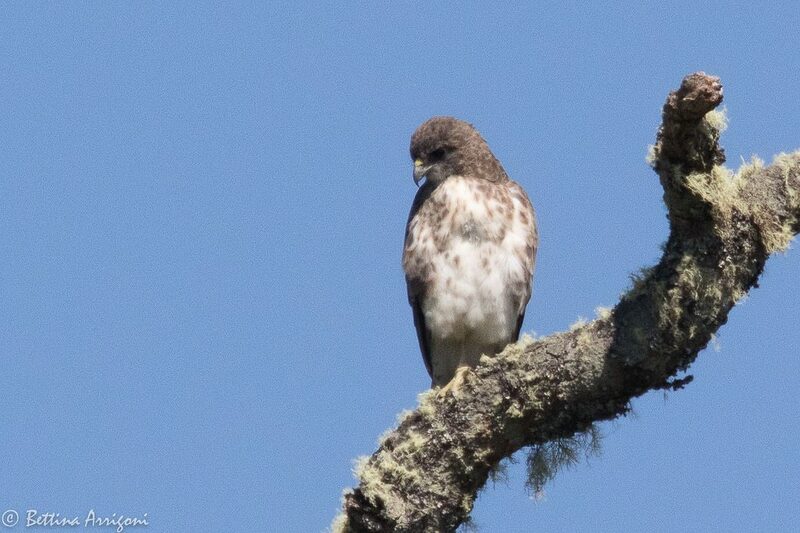 They also taught the crows to recognize and raise the alarm when they heard or saw a Hawaiian hawk. The alarm call is important. A study of Hawaiian crow vocalizations published in January 2017 found that the language of the captive population contained fewer alarm and territory calls and the frequency of alarm calls was greatly reduced. This had to change in the wild. 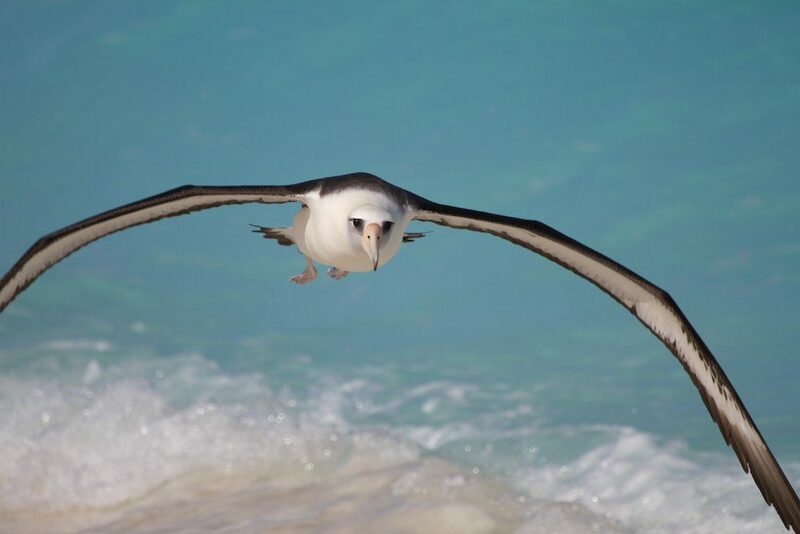 Eleven birds spent nine months preparing for their release (read more in this Audubon article). Six were released in September 2017, five more at a nearby location in October 2017. They were monitored daily during their first year in the forest. So far so good. As of fall 2018 they are thriving and they are vocal. 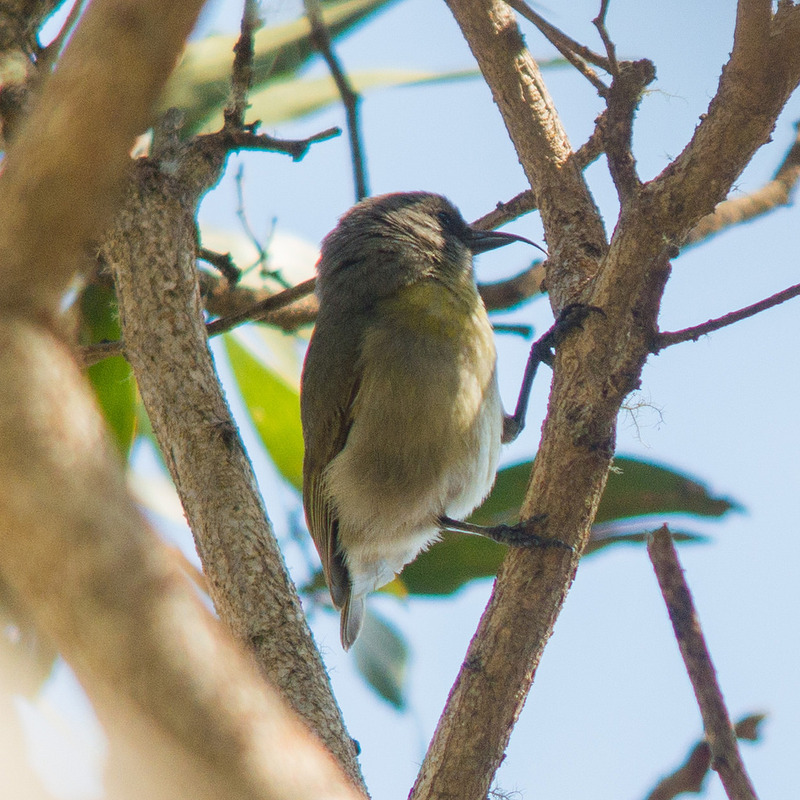 Here’s a video from the ‘Alala Project taken during ongoing tracking of the birds and their sounds. 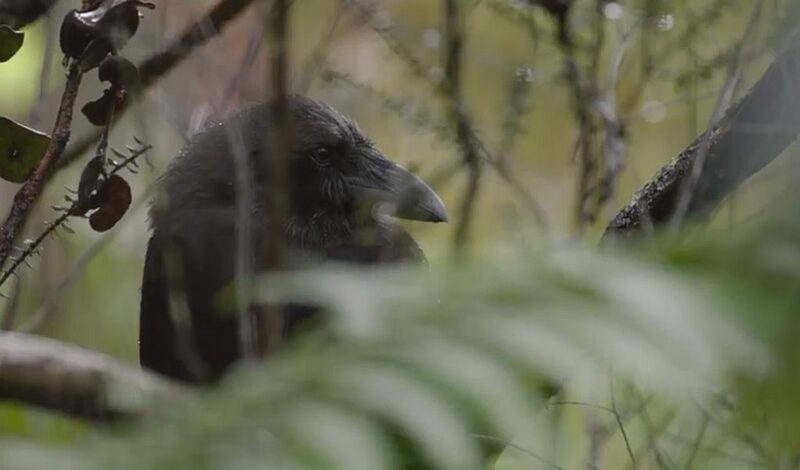 These Hawaiian crows have re-learned the wild. 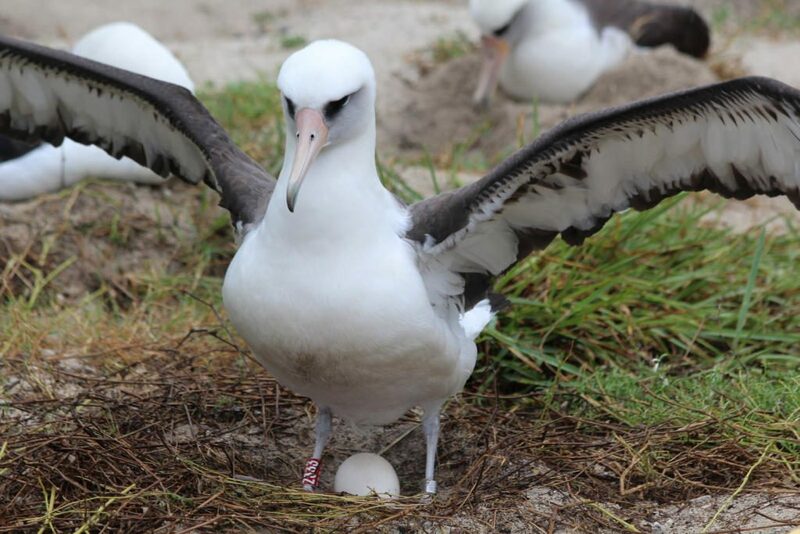 There’s hope they’ll be the start of a future ‘alala population on the islands. For more information, see this 10-minute video about the ‘Alala Project or this 6-minute video about their release in 2017. A trip to Hawaii would not be complete without a visit to an active volcano at Hawai’i Volcanoes National Park. 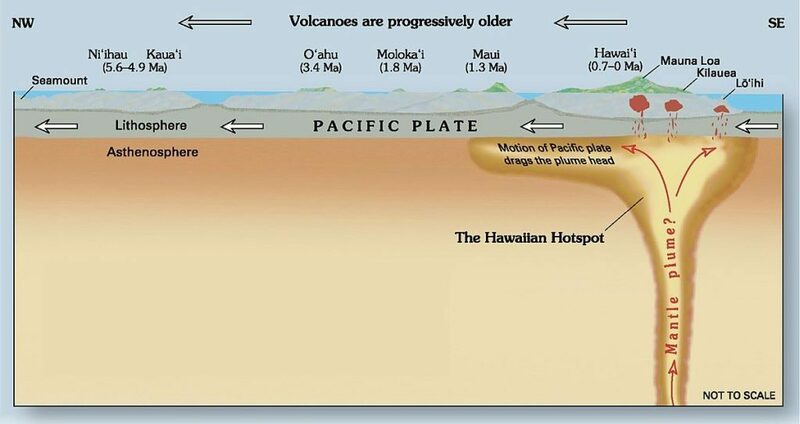 If it weren’t for volcanoes Hawaii wouldn’t exist. 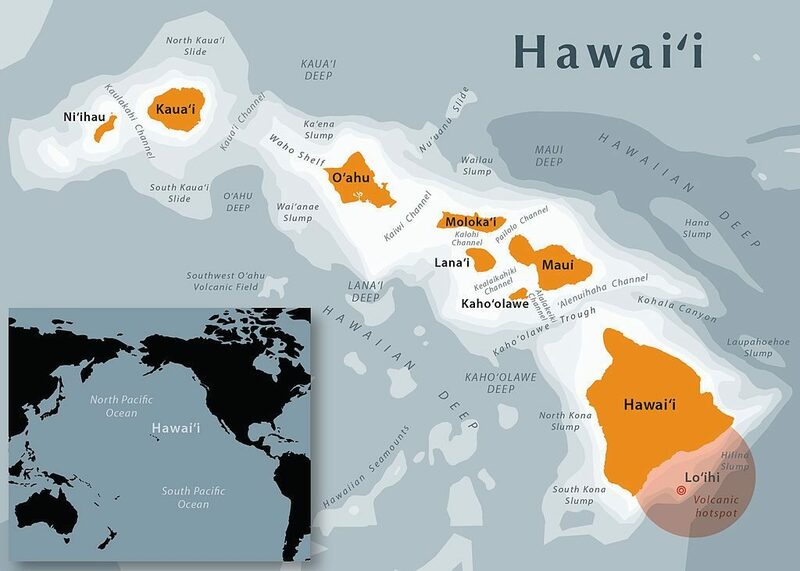 The Hawaiian island chain is a string of mountains created by a volcanic hotspot under the Pacific plate. As the plate moves northwestward, the hotspot keeps bubbling up in a new location. The older islands have extinct volcanoes. The newest island, the Big Island of Hawai’i, is where all the action is. Volcanoes are incredibly awe inspiring and deadly if not treated with respect. Explosions, fountains, and lava flows are obvious dangers. Volcanic ash clogs everything (including airplane engines) and the sulfur dioxide emissions can kill. 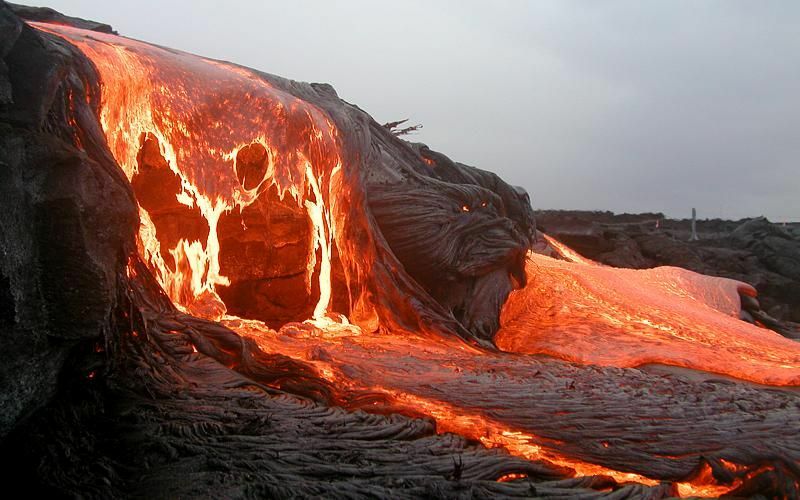 Kilauea has been continuously active since 1983. 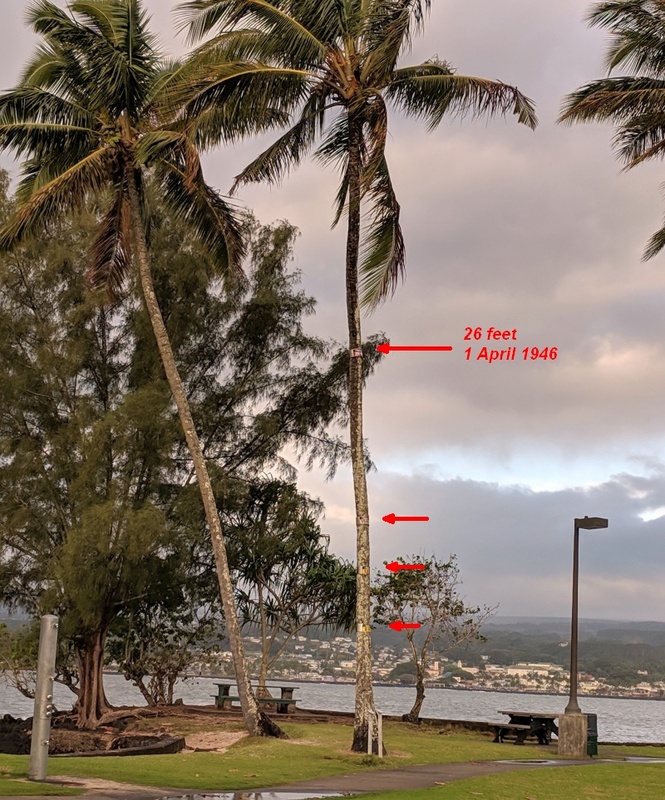 When it erupted violently from 3 May to 4 September 2018 its lava flows destroyed Highway 132, the beach towns of Vacationland and Kapoho, and parts of the Leilani Estates subdivision. By the time the eruption ended Kilauea had added 875 acres of new land to Hawai’i. This U.S. Geological Survey video shows conditions at Leilani Estates in late May 2018 while a USGS team monitored the lava flow. They also monitored it from the air in this flyover from lava fountain to the sea. Meanwhile a new volcano is growing offshore. 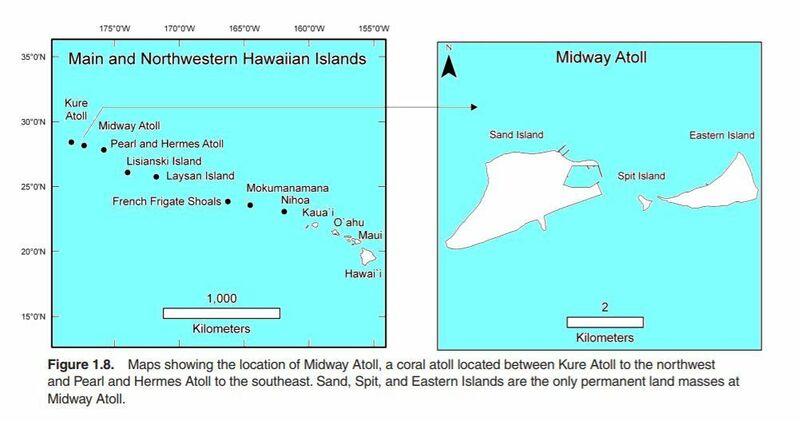 Lo’ihi is already 10,100 feet above the sea floor and only 3,000 feet below the waves. 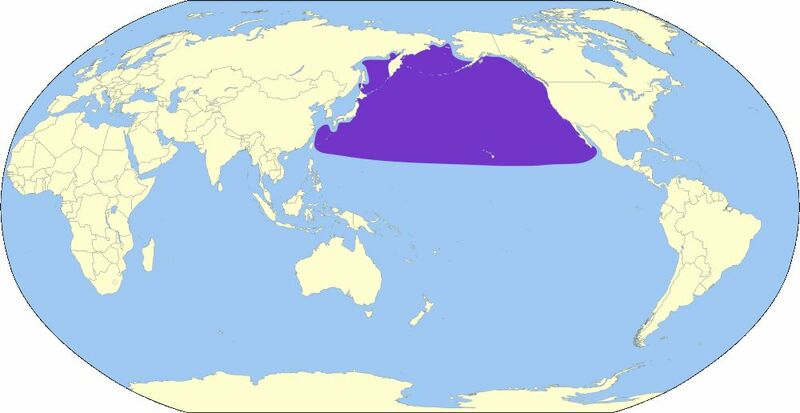 Right next to the Big Island, its shape is the pale orange semi-circle on the map below. Hawaiians know there’s no way to control a volcano. All you can do is get out of the way! 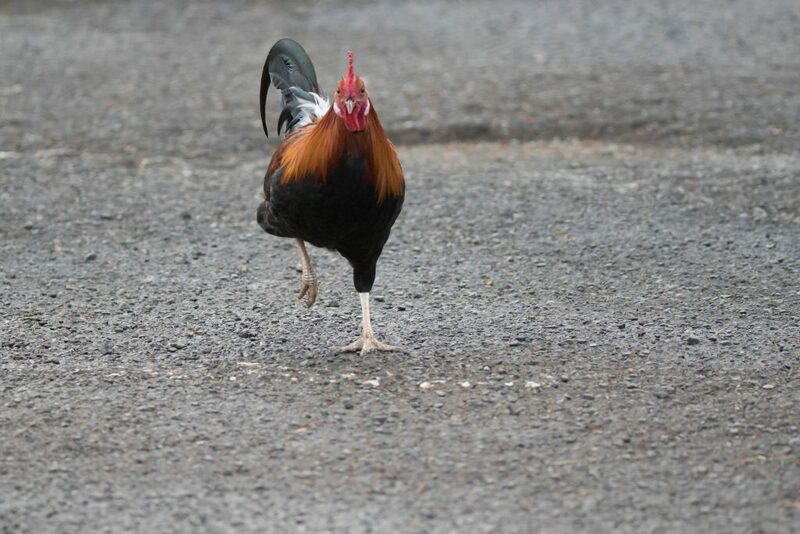 This is not somebody’s rooster. He didn’t escape to the wild but he has the same ancestors as the chickens we humans domesticated about 8,000 years ago for meat and eggs. 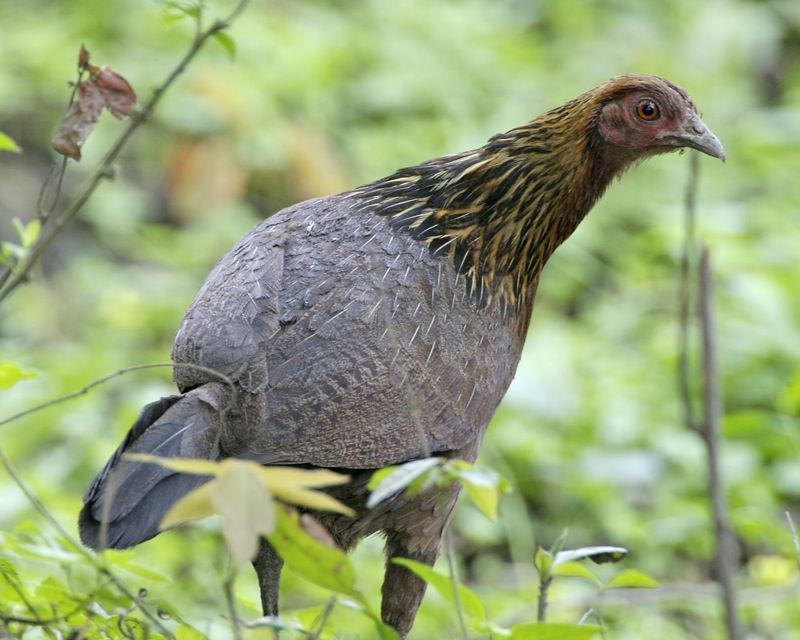 Red junglefowl (Gallus gallus) are native to India and east Asia but were introduced to Indonesia, the Phillippines and Polynesia where they remain wild today. 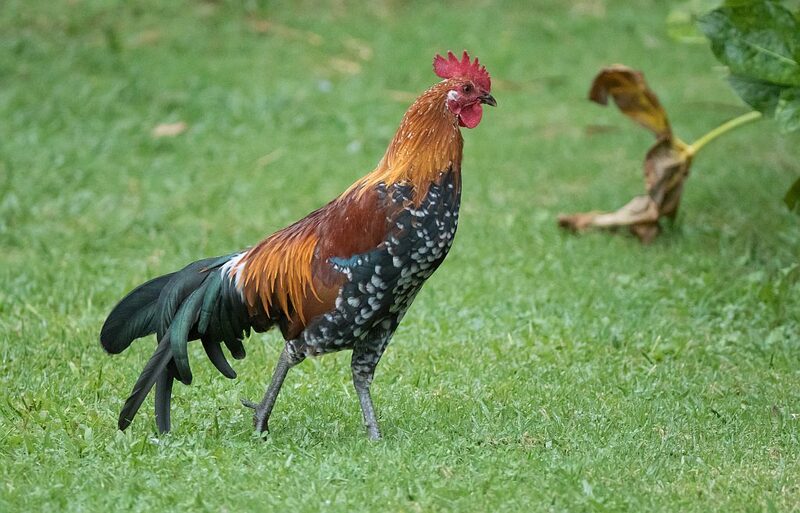 When humans first came to Hawaii in 400 AD they brought red junglefowl with them. The birds walked into the jungle and felt right at home. 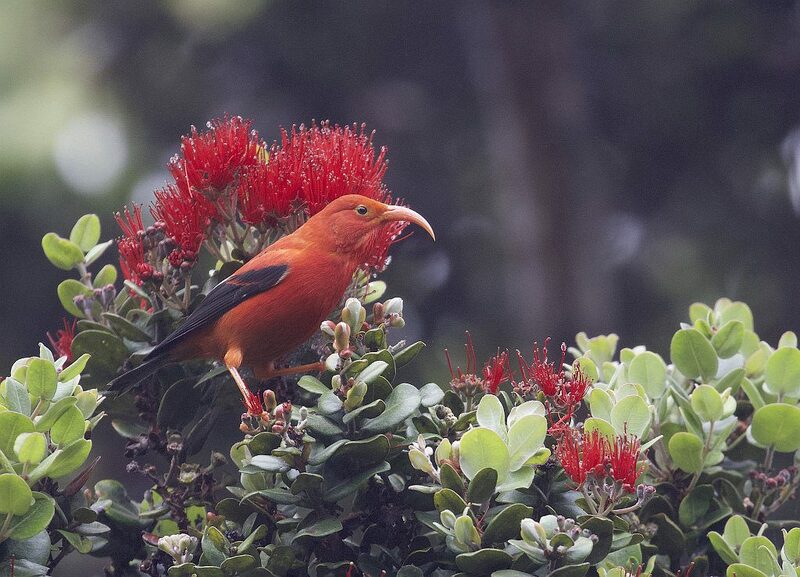 Today our Victor Emanuel Nature Tour visits Koke’e State Park on the island of Kauai where red junglefowl roam and run. We might hear them greet the dawn with a shorter call than the domestic rooster’s. And we might see some well-camouflaged females. It will be strange to see a Life Bird that’s also the original chicken.